iTWIST’16 is starting less than two weeks from now and we have 46 participants coming to Aalborg for the event (and I can still squeeze in a couple more – single-day registrations possible – so contact me if you are interested; only 4 places left before I have to order a bigger bus for the banquet dinner 🙂 ). 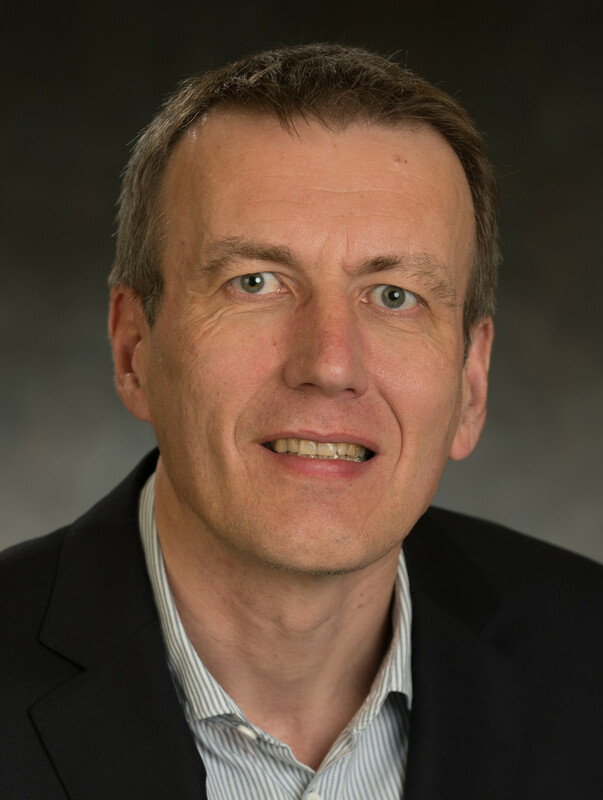 Our next keynote speaker in line for the event is Gerhard Wunder, head of the Heisenberg Communications and Information Theory Group. Gerhard Wunder recently came to Freie Universität Berlin from Technische Universität Berlin. Dr. Wunder is currently heading two research projects: the EU FP7 project 5GNOW and PROPHYLAXE funded by the German Ministry of Education and Research and is a member of the management team of the EU H2020 FANTASTIC-5G project. Currently he receives funding in the German DFG priority programs SPP 1798 CoSIP (Compressed Sensing in Information Processing), and the upcoming SPP 1914 Cyber-Physical Networking. Gerhard Wunder conducts research in wireless communication technologies and has recently started introducing principles of sparsity and compressed sensing into wireless communication. As an example of this, Gerhard Wunder recently published the paper “Sparse Signal Processing Concepts for Efficient 5G System Design” in IEEE Access together with Holger Boche, Thomas Strohmer, and Peter Jung. Massive Machine-type Communication (MMC) within the Internet of Things (IoT) is an important future market segment in 5G, but not yet efficiently supported in cellular systems. Major challenge in MMC is the very unfavorable payload to control overhead relation due to small messages and oversized Medium Access (MAC) procedures. In this talk we follow up on a recent concept called Compressive Coded Random Access (CCRA) combining advanced MAC protocols with Compressed Sensing (CS) based multiuser detection. Specifically, we introduce a “one shot” random access procedure where users can send a message without a priori synchronizing with the network. In this procedure a common overloaded control channel is used to jointly detect sparse user activity and sparse channel profiles. In the same slot, data is detected based on the already available information. In the talk we show how CS algorithms and in particular the concept of hierarchical sparsity can be used to design efficient and scalable access protocols. The CCRA concept is introduced in full detail and further generalizations are discussed. We present algorithms and analysis that proves the additional benefit of the concept. Note: You can still register for iTWIST’16 until Monday the 1st of August! Our next speaker at iTWIST’16 is Florent Krzakala. Much like Phil Schniter – the previous speaker presented here – Florent Krzakala has made important and enlightening contributions to the Approximate Message Passing family of algorithms. Where Phil Schniter seems to have approached the (G)AMP algorithms, that have become quite popular for compressed sensing, from an estimation-algorithms-in-digital-communications-background, Florent Krzakala has approached the topic from a statistical physics background which seems to have brought a lot of interesting new insight to the table. For example, together with Marc Mézard, Francois Sausset, Yifan Sun, and Lenka Zdeborová he has shown how AMP algorithms are able to perform impressively well compared to the classic l1-minimization approach by using a special kind of so-called “seeded” measurement matrices in “Probabilistic reconstruction in compressed sensing: algorithms, phase diagrams, and threshold achieving matrices“. A large amount of interesting problem in machine learning and statistics can be expressed as a low rank structured matrix factorization problem, such as sparse PCA, planted clique, sub-matrix localization, clustering of mixtures of Gaussians or community detection in a graph. I will discuss how recent ideas from statistical physics and information theory have led, on the one hand, to new mathematical insights in these problems, leading to a characterization of the optimal possible performances, and on the other to the development of new powerful algorithms, called approximate message passing, which turns out to be optimal for a large set of problems and parameters. With only one week left to register for iTWIST’16, I am going to walk you through the rest of our keynote speakers this week. Our next speaker is Phil Schniter. Phil Schniter is Professsor in Electrical and Computer Engineering at Department of Electrical and Computer Engineering at Ohio State University, USA. Professor Schniter joined the Department of Electrical and Computer Engineering at OSU after graduating with a PhD in Electrical Engineering from Cornell University in 2000. Phil Schniter also has industrial experience from Tektronix from 1993 to 1996 and has been a visiting professor at Eurecom (Sophia Antipolis, France) from October 2008 through February 2009, and at Supelec (Gif sur Yvette, France) from March 2009 through August 2009. Professor Schniter has published an impressive selection of research papers; previously especially within digital communication. In recent years he has been very active in the research around generalised approximate message passing (GAMP). GAMP is an estimation framework that has become popular in compressed sensing / sparse estimation. The reasons for the success of this algorithm (family), as I see it, are that the algorithm estimates under-sampled sparse vectors with comparable accuracy to the classic l1-minimisation approach in compressed sensing and favourable computational complexity. At the same time, the framework is easily adaptable to many kinds of different signal distributions and other types of structure than plain sparsity. If you are dealing with a signal that is not distributed according to the Laplace distribution that the l1-minimisation approach implies, you can adapt GAMP to this other (known) distribution and achieve better reconstruction capabilities than the l1-minimisation. Even if you don’t know the distribution, GAMP can also be modified to estimate it automatically and quite efficiently. This and many other details are among Professor Schniter’s contributions to the research on GAMP. Approximate message passing (AMP) has recently become popular for inference in linear and generalized linear models. AMP can be viewed as an approximation of loopy belief propagation that requires only two matrix multiplies and a (typically simple) denoising step per iteration, and relatively few iterations, making it computationally efficient. When the measurement matrix “A” is large and well modeled as i.i.d. sub-Gaussian, AMP’s behavior is closely predicted by a state evolution. Furthermore, when this state evolution has unique fixed points, the AMP estimates are Bayes optimal. For general measurement matrices, however, AMP may produce highly suboptimal estimates or not even converge. Thus, there has been great interest in making AMP robust to the choice of measurement matrix. In this talk, we describe some recent progress on robust AMP. In particular, we describe a method based on an approximation of non-loopy expectation propagation that, like AMP, requires only two matrix multiplies and a simple denoising step per iteration. But unlike AMP, it leverages knowledge of the measurement matrix SVD to yield excellent performance over a larger class of measurement matrices. In particular, when the Gramian A’A is large and unitarily invariant, its behavior is closely predicted by a state evolution whose fixed points match the replica prediction. Moreover, convergence has been proven in certain cases, with empirical results showing robust convergence even with severely ill-conditioned matrices. Like AMP, this robust AMP can be successfully used with non-scalar denoisers to accomplish sophisticated inference tasks, such as simultaneously learning and exploiting i.i.d. signal priors, or leveraging black-box denoisers such as BM3D. We look forward to describing these preliminary results, as well as ongoing research, on robust AMP. Last week we heard about the first of our keynote speakers at this years’ iTWIST workshop in August – Lieven Vandenberghe. Next up on my list of speakers is Karin Schnass. Karin Schnass is an expert on dictionary learning and heading an FWF-START project on dictionary learning in the Applied Mathematics group in the Department of Mathematics at the University of Innsbruck. Karin Schnass joined the University of Innsbruck in December 2014 as part of an Erwin Schrödinger Research Fellowship where she returned from a research position at University of Sassari, Italy, from 2012 to 2014. She originally graduated from University of Vienna, Austria, with a master in mathematics with distinction: “Gabor Multipliers – A Self-Contained Survey”. She graduated in 2009 with a PhD in computer, communication and information sciences from EPFL, Switzerland: “Sparsity & Dictionaries – Algorithms & Design”. Karin Schnass has, among other things, introduced the iterative thresholding and K-means (ITKM) algorithms for dictionary learning and published the first theoretical paper on dictionary learning (on arXiv) with Rémi Gribonval. Now if D is a (square) orthonormal matrix such as an IDFT, we can consider D’ a DFT matrix and they are simply each other’s inverse. In this case, the synthesis and analysis reconstruction problems above are equivalent. The interesting case is when the synthesis dictionary D is a so-called over-complete dictionary – a fat matrix. The analysis counterpart of this is a tall analysis dictionary D’ which behaves differently than the analysis dictionary. While (synthesis) sparsity is by now a well-studied low complexity model for signal processing, the dual concept of (analysis) co-sparsity is much less invesitigated but equally promising. We will first give a quick overview over both models and then turn to optimisation formulations for learning sparsifying dictionaries as well as co-sparsifying (analysis) operators. Finally we will discuss the resulting learning algorithms and ongoing research directions. The workshop program has been ready for some time now, and we are handling the final practicalities to be ready to welcome you in Aalborg in August for the iTWIST’16 workshop. So now I think it is time to start introducing you to our – IMO – pretty impressive line-up of keynote speakers. First up is Prof. Lieven Vandenberghe from UCLA. Prof. Vandenberghe is an expert on convex optimisation and signal processing and is – among other things – well known for his fundamental textbook “Convex Optimization” together with Steven Boyd. Lieven Vandenberghe is Professor in the Electrical Engineering Department at UCLA. He joined UCLA in 1997, following postdoctoral appointments at K.U. Leuven and Stanford University, and has held visiting professor positions at K.U. Leuven and the Technical University of Denmark. In addition to “Convex Optimization”, he also edited the “Handbook of Semidefinite Programming” with Henry Wolkowicz and Romesh Saigal. We discuss extensions of semidefinite programming methods for 1-norm minimization over infinite dictionaries of complex exponentials, which have recently been proposed for superresolution and gridless compressed sensing. We show that results related to the generalized Kalman-Yakubovich-Popov lemma in linear system theory provide simple constructive proofs for the semidefinite representations of the penalties used in these problems. The connection leads to extensions to more general dictionaries associated with linear state-space models and matrix pencils. The results will be illustrated with applications in spectral estimation, array signal processing, and numerical analysis. This year’s international Traveling Workshop on Interactions Between Sparse Models and Technology is starting to take shape now. The workshop will take place on the 24th-26th of August 2016 in Aalborg. See also this recent post about the workshop. Aalborg is a beautiful city in the northern part of Denmark and what many of you probably do not know is that Aalborg actually scored “Europe’s happiest city” in a recent survey by the European Commission. It is now possible to register for the workshop and if you are quick and register before July, you get it all for only 200€. That is, three days of workshop, including lunches and a social event with dinner on Thursday evening. There are plenty of good reasons to attend the workshop. In addition to the many exciting contributed talks and posters that we are now reviewing, we have an impressive line-up of 9 invited keynote speakers! I will be presenting what the speakers have in store for you here on this blog in the coming days. I was very excited to learn last fall that the organising committee of the previous two instalments of the workshop had the confidence to let Morten Nielsen and me organise the workshop in Aalborg (Denmark) in 2016. I would like to point out here, as Igor Carron mentioned recently, that HW designs are also very welcome at the workshop – it is not just theory and thought experiments. We are very interested in getting a good mix between theoretical aspects and applications of sparsity and related techniques. The rest of the workshop is open to contributions from the research community. Please send your papers (in the form of 2-page extended abstracts – see details here). Your research can be presented as an oral presentation or a poster. If you prefer, you can state your preference (paper or poster) during the submission process, but we cannot guarentee that we can honour your request and reserve the right to assign papers to either category in order to put together a coherent programme. Please note that we consider oral and poster presentations equally important – poster presentations will not be stowed away in a dusty corner during coffee breaks but will have one or more dedicated slots in the programme! In order to support open science, we strongly encourage authors to publish any code or data accompanying your paper in a publicly accessible repository, such as GitHub, Figshare, Zenodo etc. The proceedings of the workshop will be published in arXiv as well as SJS in order to make the papers openly accessible and encourage post-publication discussion.